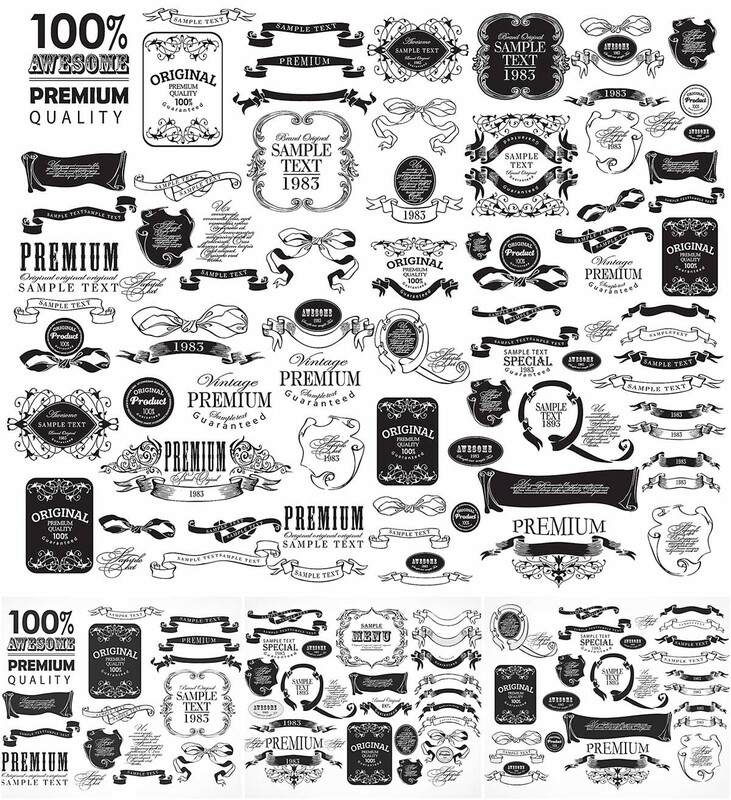 Set of 100+ ornate frames, calligraphic and floral design elements. File format: .eps for Photoshop or other software. 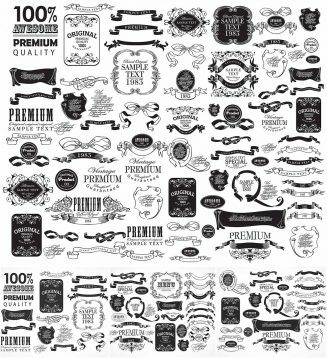 Tags: banner, frame, label, menu, ornate, premium, retro, ribbon, sale, swirl, vintage decorations.